The capital of the state of Maryland, Annapolis is a relatively small but beautiful town, home to a little less than 40,000 people and attracting many more from around the US and internationally each and every year. Located on the Chesapeake Bay at the mouth of the Severn River, Annapolis is well known for its beautiful bay waters and fascinating historical cities. There are plenty of enjoyable kayaking locations to be found in and around Annapolis. The waters of the bay are the most obvious location, but there are a few other locations and parks with creeks and waterways to enjoy as well. Here are some of the most popular locations to do some kayaking in Annapolis. 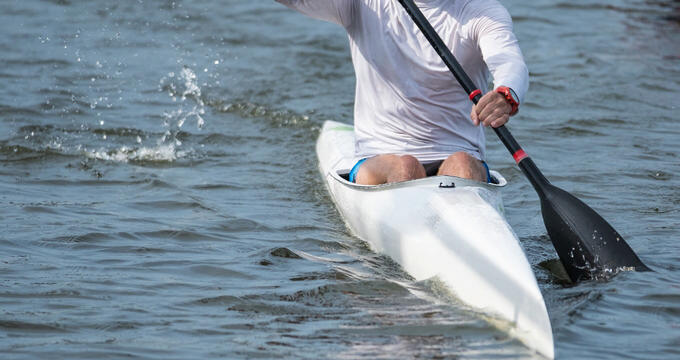 Open to kayakers and canoe enthusiasts all year long, Truxtun Park is one of the most popular outdoor spots in the city of Annapolis. With a whole host of trails to enjoy both on and off the water, it's a lovely spot to spend a day. Kayakers will need to pay a $5 fee to use the boat ramp, which is open almost all day long, but will quickly see that the stunning views and calm waters are more than worth the price of admission. Various coves can be explored along Spa Creek and the waterway can be followed all the way down to the Annapolis Harbor. Once you reach the end of Spa Creek, you’ll find yourself at the city’s harbor. Kayakers will need to be careful here due to the much larger vessels floating around the waters, so harbor kayaking is best suited to people with some degree of experience, but it can be a great place to do some paddling. There's a lot to see at this location, which also offers some impressive views of the historic side of the city and the famous Naval Academy. Quite possibly the most beautiful area in all of Annapolis, Quiet Waters Park offers a tranquil, peaceful backdrop for relaxing kayaking sessions. Kayak rentals can easily be found in the park and it's very easy to get out on the water and spot some wildlife along the way. This natural space has seen some great renovation in recent years, making it a really nice place to do some kayaking with friends and family. Back Creek is a tributary of the Chesapeake Bay, featuring a nice pier to kayak around and special kayaking events like the annual "July 4th Paddle". Since kayaking has become so popular in Annapolis, various kayak tours, rentals, and outfitters have opened up in and around the city. These kayak companies will offer all the equipment and guidance you need to have a wonderful kayaking adventure in Maryland’s capital. Here are some details on a few of the top kayaking locations in Annapolis. The top kayaking tour company in the town, Kayak Annapolis runs an attractively-priced 2-hour guided tour of the historical district of Annapolis, focusing on the calm waters of Spa Creek. Eastport, the State House, the Naval Academy, and other landmarks can be seen and enjoyed along the way, adn kayak rentals are also offered for people to make their own adventures. Best known for stand-up paddleboards, Capital SUP also offers kayak rentals and guided tours around the Annapolis Harbor and other waterways of the city. Tours last 90 minutes and can be as small as just a couple of people or as large as 40, with experienced guides leading the way and sharing fascinating information and stories about the city. Annapolis Canoe and Kayak is actually just an outdoor equipment store, so it won’t run any tours or lessons, but it does have one of the broadest selections of kayaks and kayaking equipment you could ever hope to find. Friendly staff will get you fitted out with the best gear and this is the number one place to go for kayak rentals and purchases.